Dragotec USA is the North American distributor of the Drago GT and Drago Series II corn heads. 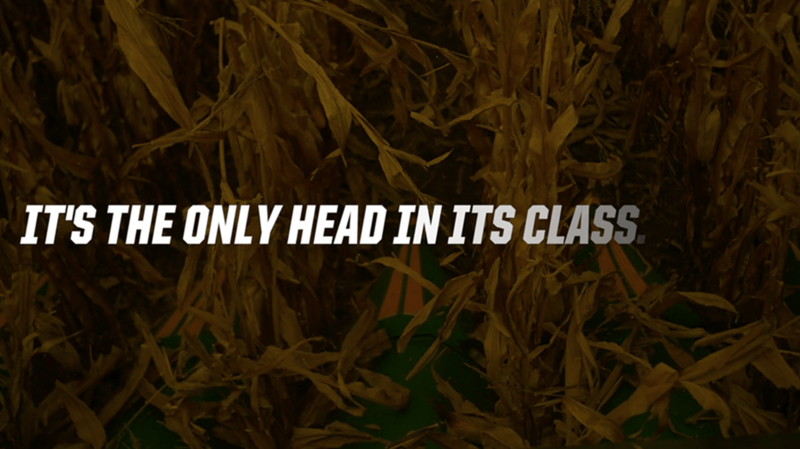 Corn heads are the company's only product — one dedicated to minimizing yield loss at harvest. 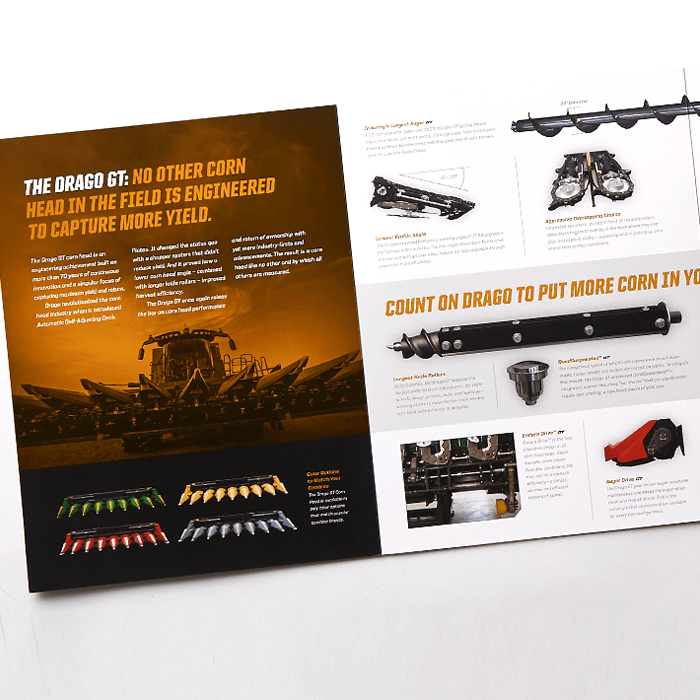 Dragotec USA was planning to introduce the revolutionary Drago GT corn head to the North American market and hired Meyocks to support the launch. 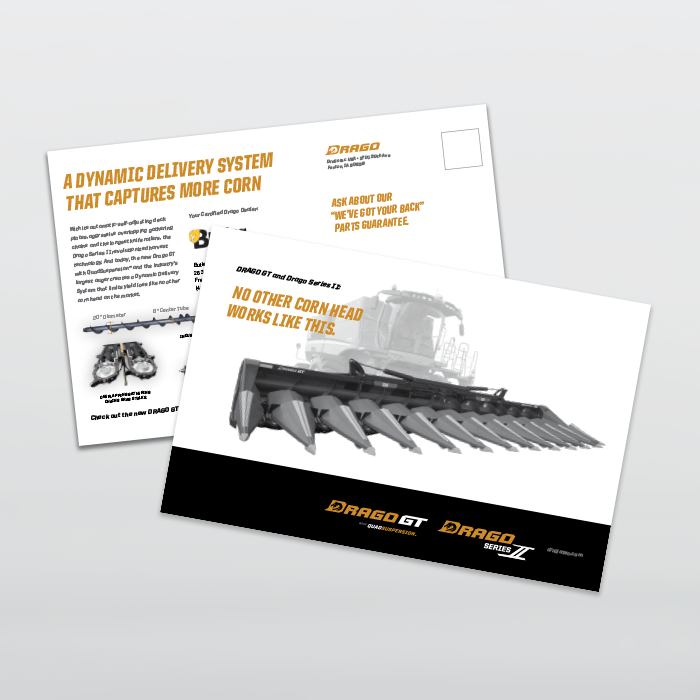 With corn at its lowest price in the previous five years and overall ag equipment sales low as well, the launch of the new Drago GT corn head had to be highly impactful and communicate its many revolutionary features and industry firsts. 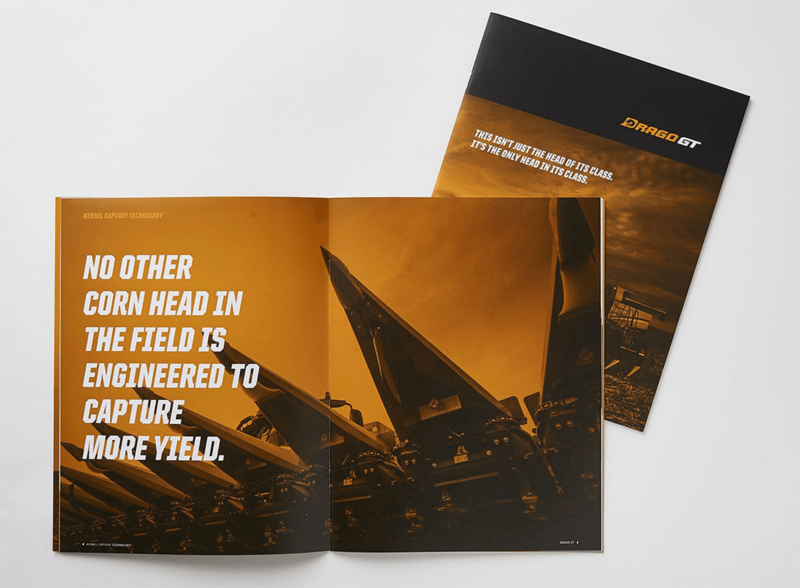 Meyocks worked to rebrand the entire company and develop an integrated marketing communication plan, including the creation of a new brand identity for the Drago GT itself. The new identities were designed to reflect the leadership of the Dragotec brand, and affirm the tough and rugged nature of the corn heads it distributes. 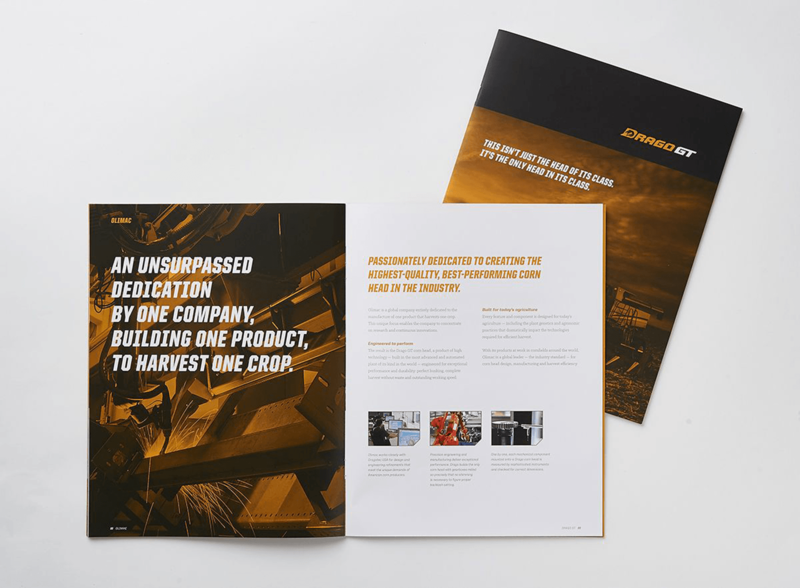 For the Drago GT launch, Meyocks created new customer and dealer collateral materials, including brochures, product detailers, a new website and a revamped co-op marketing program. 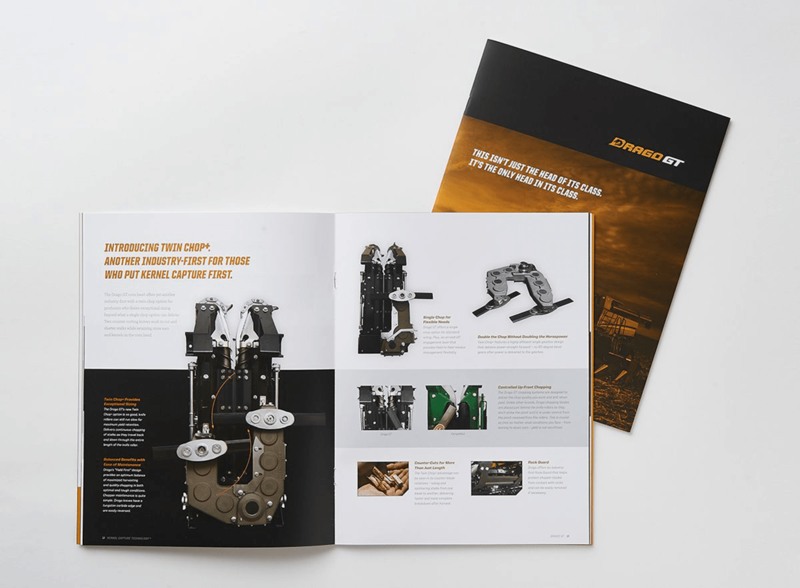 The launch strategy included a "sneak peek" event for key media editors with on-site demos and dealer events the same week. 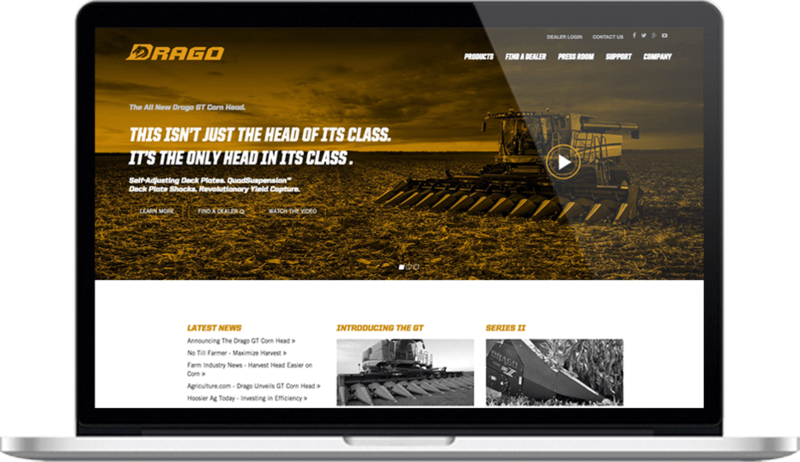 Online, Dragotec set out to own the agriculture digital media with takeover ads that highlighted the Drago GT launch and created in-bound leads with qualified farmers through geographical and acreage considerations. While sales results are proprietary, the company exceeded its early sales goals. 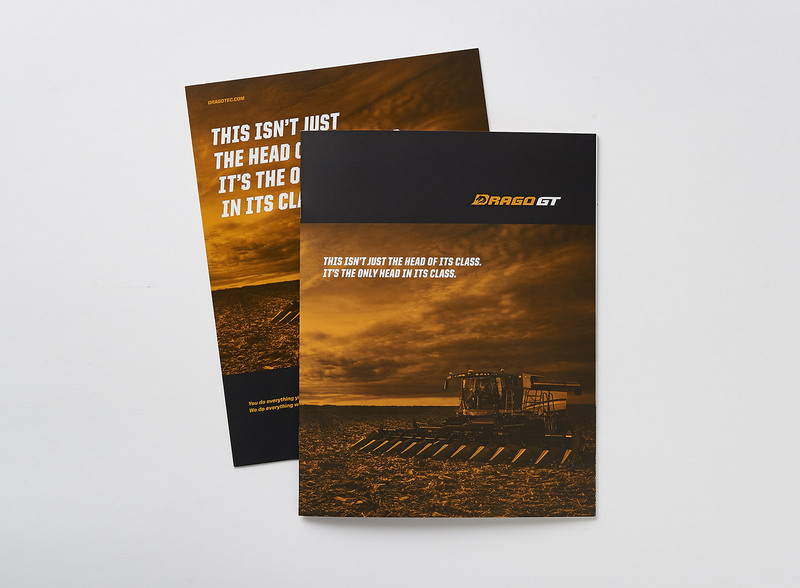 The Drago GT received news coverage in each of its key targeted media outlets and the campaign continues to generate qualified leads for the Drago dealer network. 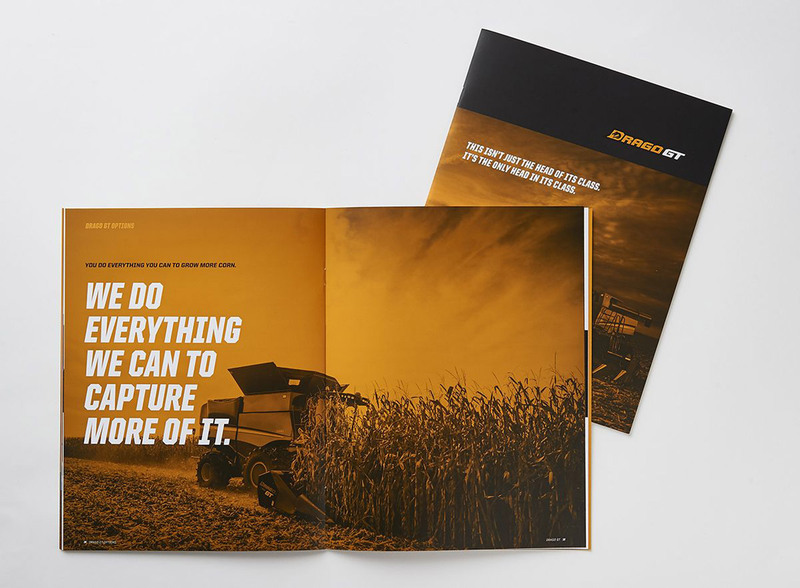 Dragotec continues to build marketing programs that support their leadership position of preventing yield loss at harvest through paid advertising, native content, social media and public relations.